bottle, thankfully, I have cat-like reflexes! Here's to another great successful gluten-free slow cooker meal. This is a new recipe I just tried last night. And the best part, there's only 2 ingredients. That's right, just 2! Chicken and Orange Poppy Seed dressing. Mmmhmm, it was DELISH! Again, I don't always prepare ahead, so I use what I have on hand in my cabinets and fridge. I was actually looking to use Italian dressing, but I didn't have any, so the orange poppy seed dressing was next in line. We could eat pot roast, chili and soups all fall and winter long, but it's nice to mix it up a bit. This meal would be lovely to have in the summer as well, but I say, why not enjoy the orange aroma in your home this winter. The flavor is sweet, orange-y and unique. It was refreshing to say the least - just something different. 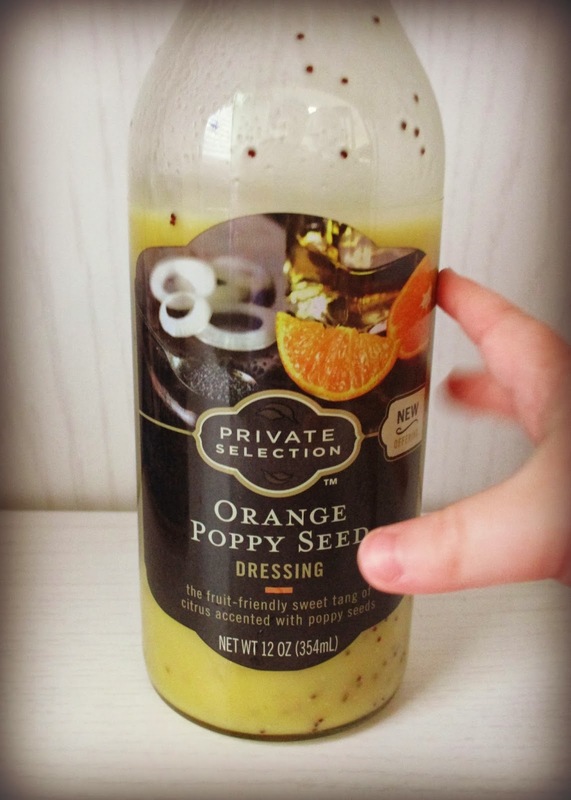 try a 1/2 cup of poppy seed dressing and a tablespoon of orange marmalade. For the side, no surprise - ROASTED zucchini. I do A LOT of roasting. 3) My favorite part, easy clean-up - throw away the foil - done! 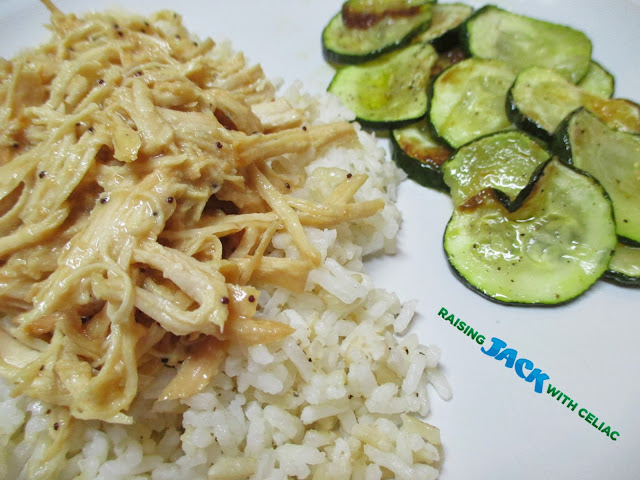 Served over a mix of white and brown rice, this meal was easy peasy to prepare and full of flavor. Do you have a favorite dressing you use in a recipe? Please tell!